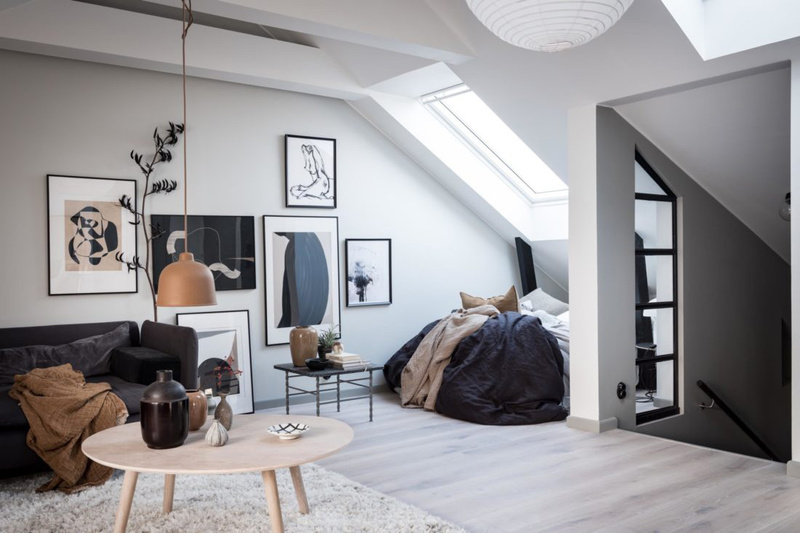 What a lovely little gem! 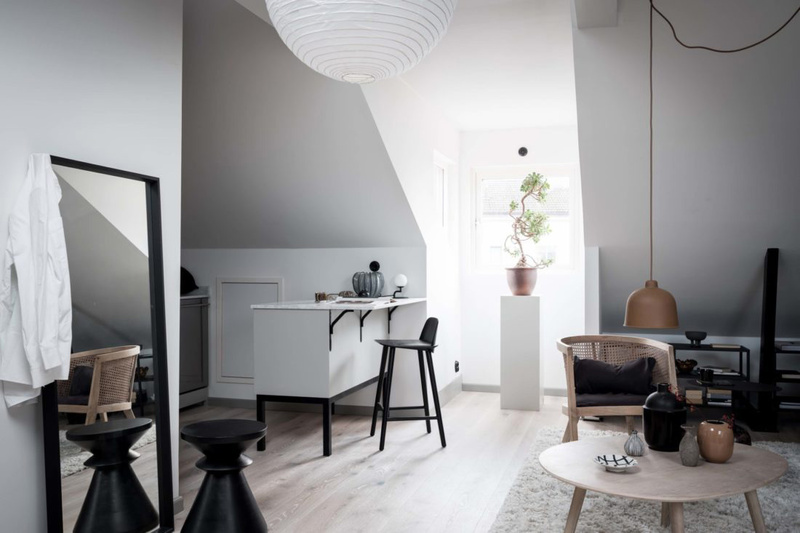 Talented Emma Fischer turned this tiny place (barely 35 square meters /377 square-feet) into a stylish, cozy, a spacious-looking cocoon. 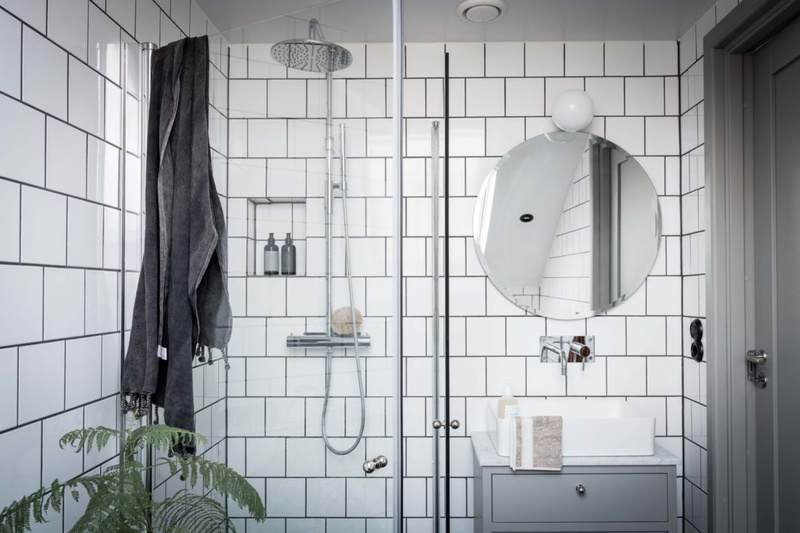 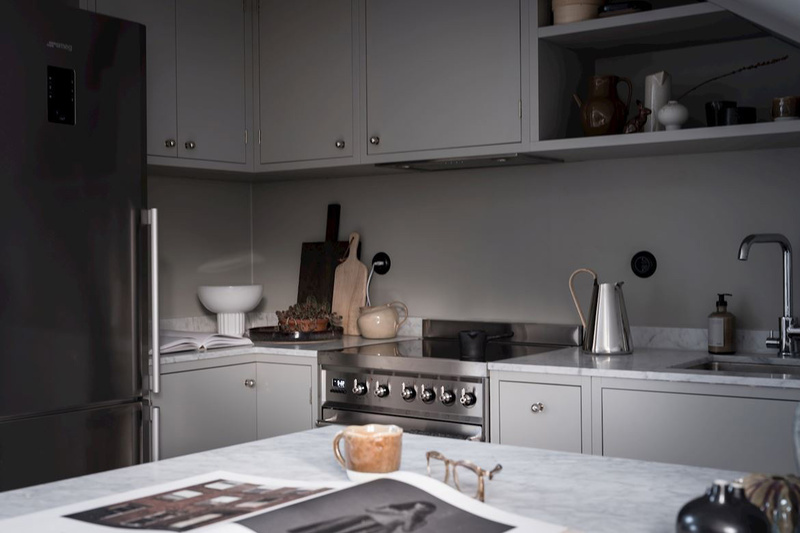 It offers lots of inspiration for home décor; I’m a fan of greys combined with earthy tones, the large paper pendant shade, the gallery wall, and that gorgeous little but functional kitchen. 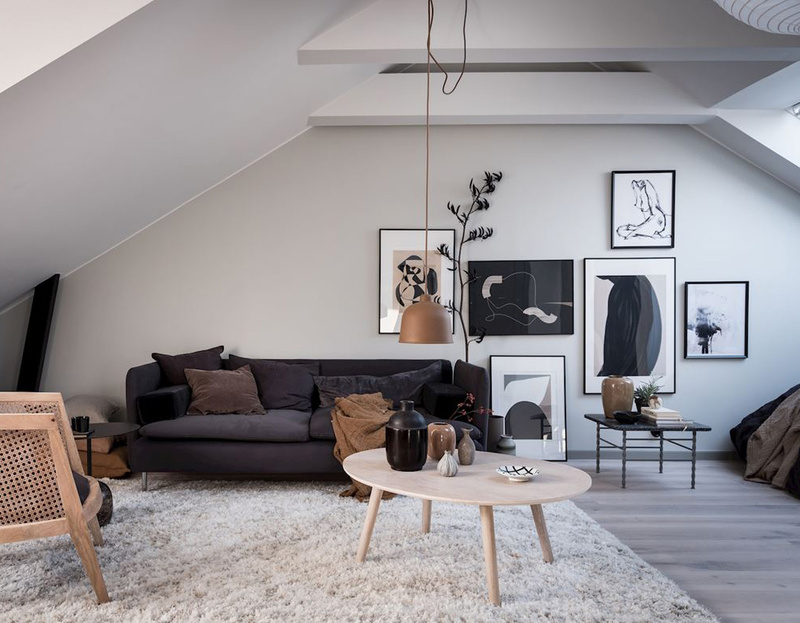 The apartment is also a great example of how careful layering and details you can make a place feel welcoming and livable. 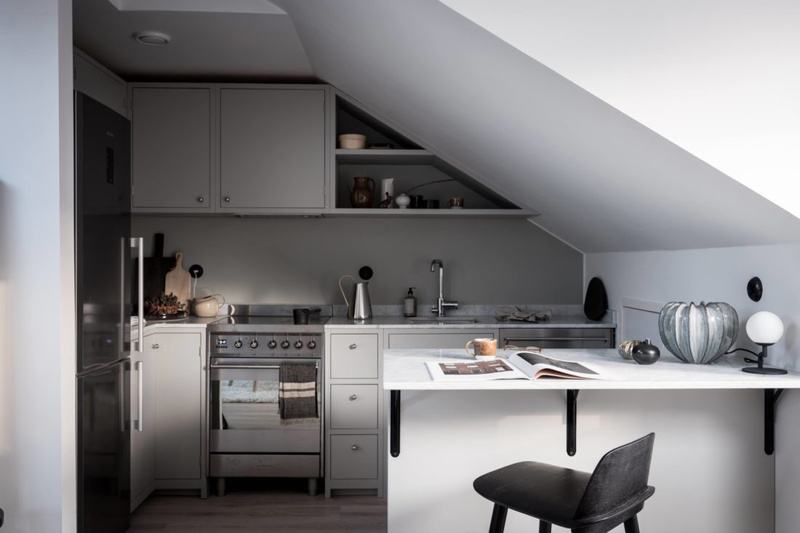 Custom-built storage solutions as shown here are perfect for compact living spaces. 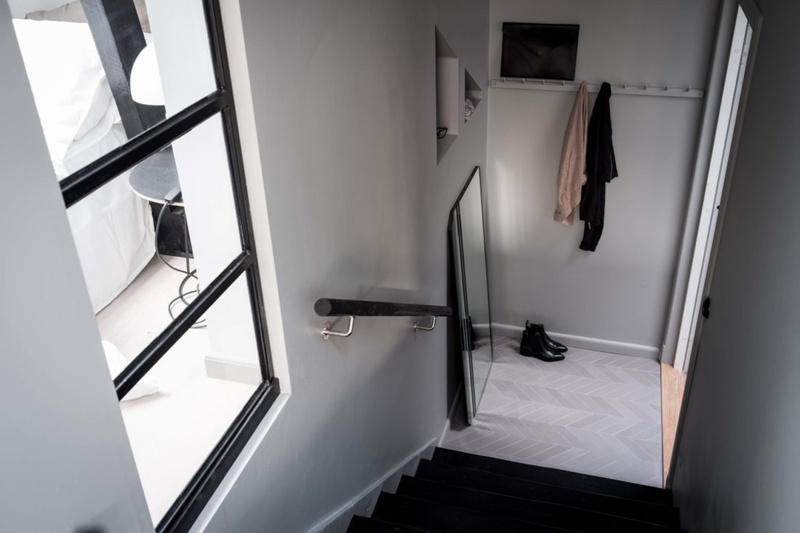 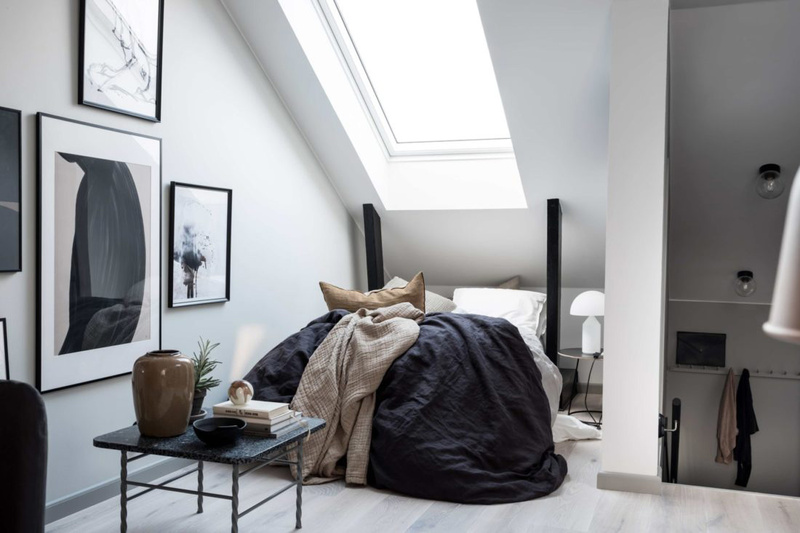 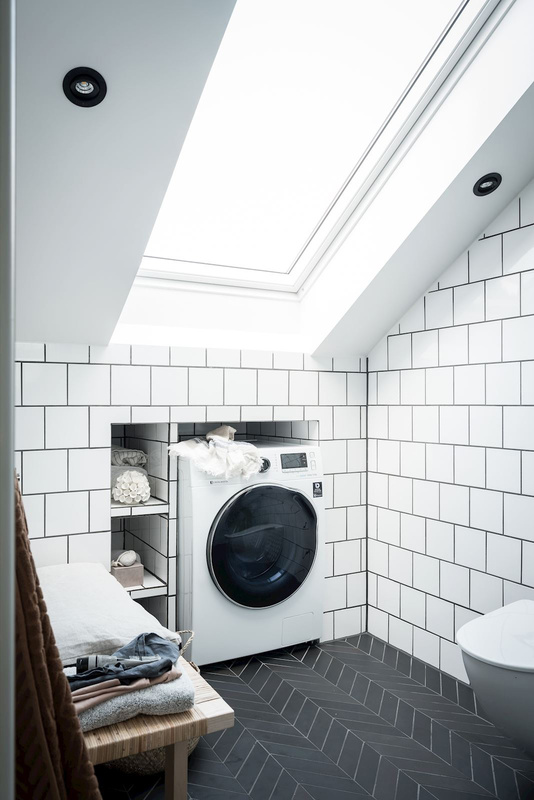 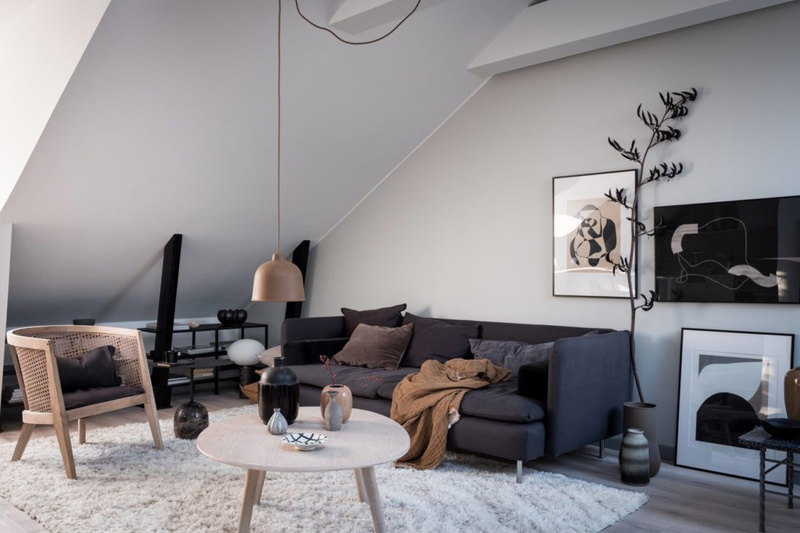 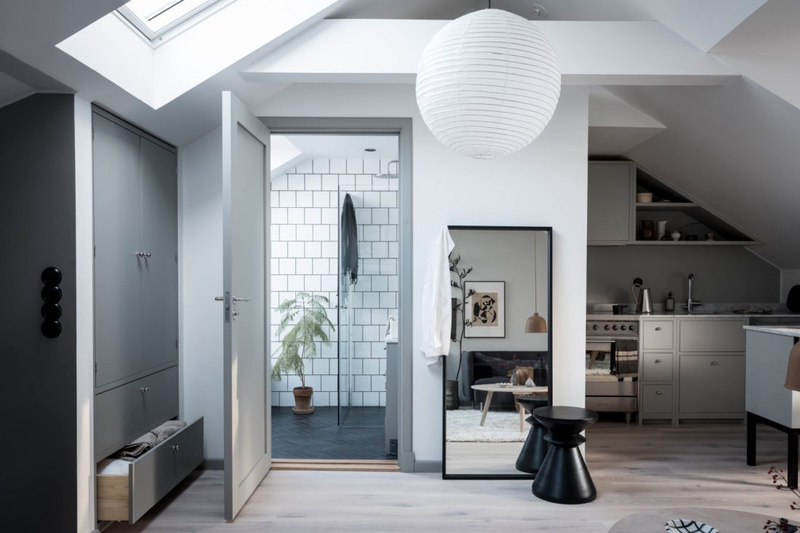 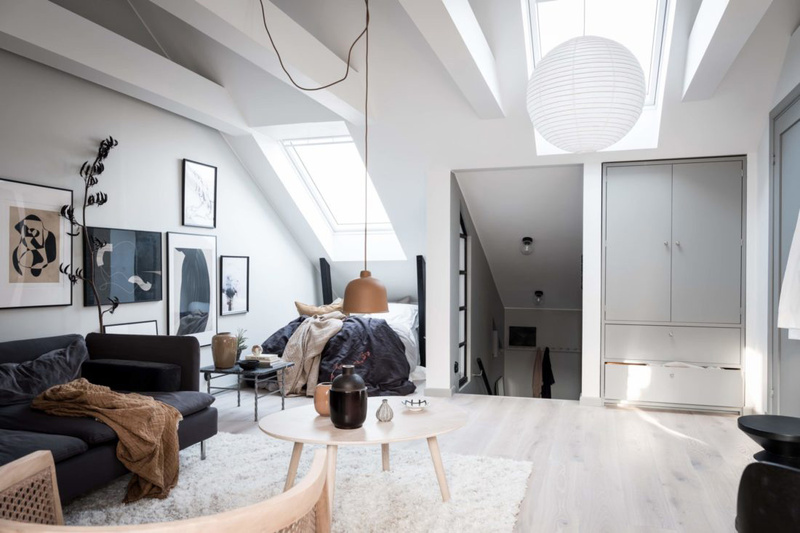 The owners also made the most out of the sloped ceilings by adding skylights, which really enhances the room’s openness, thanks to the beautiful natural light flowing in – Hard to believe this is an attic apartment, right? 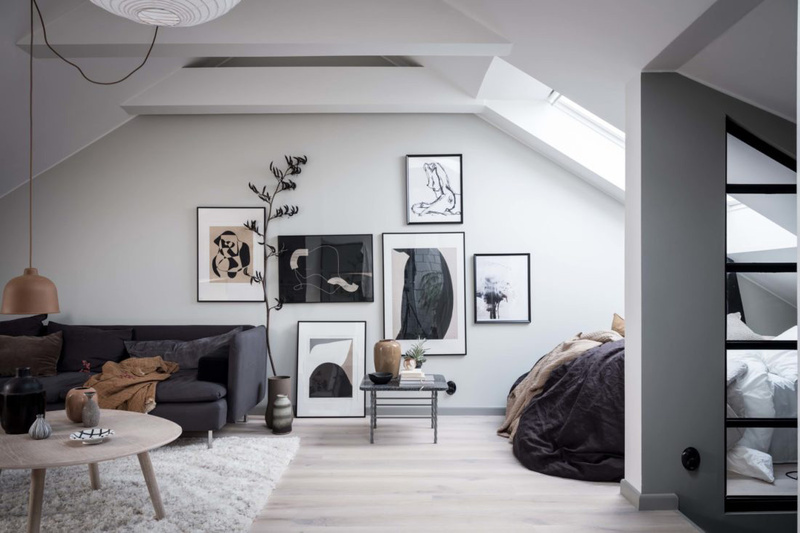 For more tips on how to style a small home, have a look at my roundup here. 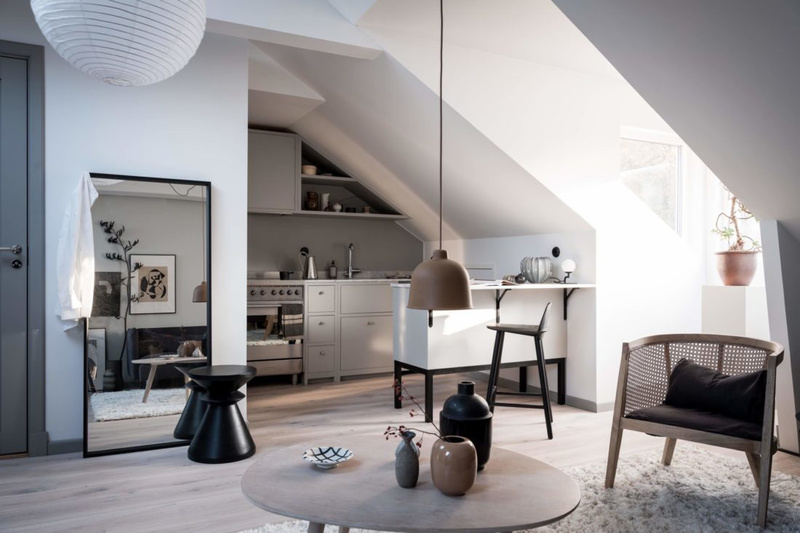 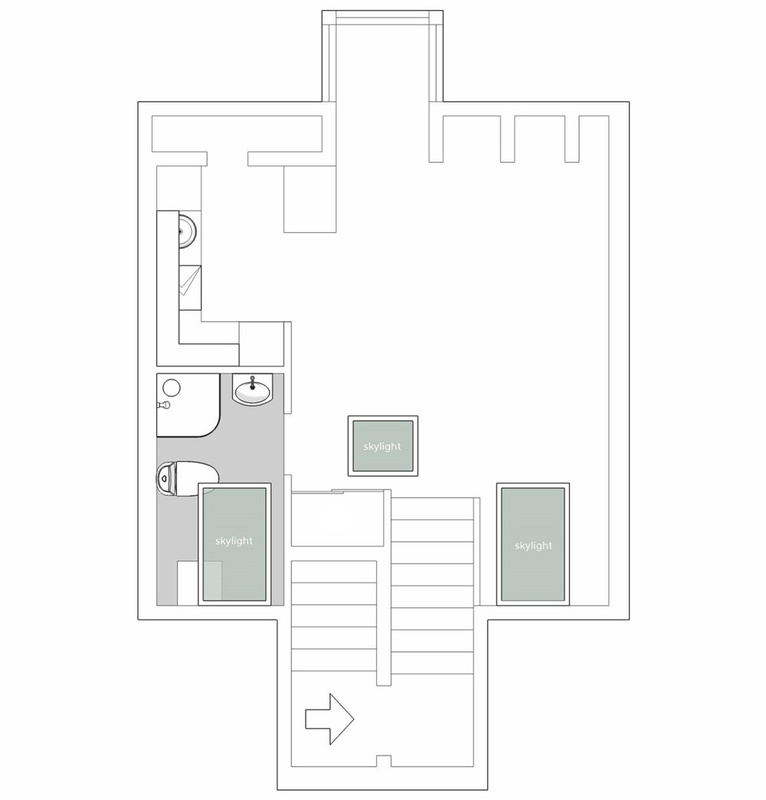 For more small home inspiration, check out the dedicated board in my image gallery.